Bhubaneswar: Belongingness is the philosophy of Bharat and there is no boundary of belongingness, said, Prof. Ganeshi Lal Governor of Odisha. Releasing the book ‘Apratim Bharat’- Unique Bharat in Bhubaneswar on 6th July 2018 Prof. Lal said, belongingness from the heart is the foundation of love. It is the unique feature of Bharat. 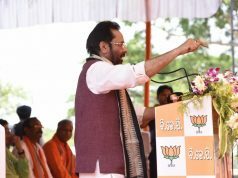 You can know Bharat after you see Odisha. 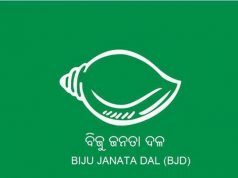 Belongingness is the quality of Odia people which is the uniqueness of Odisha. Caste, creed, colour, religion above all oneness in differences is unique feature of Bharat. Virendra Yagnik of Shri Bhagawat Parivar, Mumbai highlighted the motto of Bhagawat pariwar. 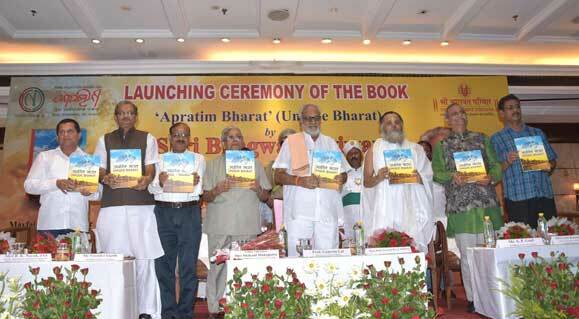 In the context of present scenario the book Apratim Bharat will inspire the youth mass. S P Goel, President of Shri Bhagawat Parivar said, we are thankful to Kadambini Media and Dr. Achyuta Samanta for the release of the book Apratim Bharat in Odisha. Bijay Kumar Nayak, Director, Odia Language Literature & Culture, govt of Odisha said, Bharat is a holy land, and our Ramayan and Mahabharat are two precious contributions to the world. We have seen the entire world, our contribution is not limited in the sphere of literature, philosophy and spirituality. Our contribution in science to the world is remarkable. ‘Basudheiba Kutumbakam’ is the unique feature of our culture. This book must be acceptable among the masses. This book will inspire the future generation of Bharat. Baba Ram Narayan Das said, Bharat is the land of dedication. The name of ‘Bhaarat’ come from came from the name of the name ‘Bharat’, who had dedicated his whole life for his elder brother Shri Rama. We are happier when you say Bharat instead of India. In his review Asit Mohanty, noted writer said, this book is unique publication of Shri Bhagawat pariwar. We can get knowledge about our art, culture, spirituality, education everything from this book. It is a praiseworthy work of Shri Bhagwat Pariwar. Presiding over the programme Padma Vibhushan Sitakant Mahapatra said, it is truly a unique production of Shri Bhagawat Pariwar. We can get firsthand knowledge about our art, culture, tradition, spirituality, education from this book Apratim Bharat. Dr. Achyuta Samanta, Founder, KIIT, KISS and Kadambini gave welcome address while Ashok Pandey, noted educationist proposed vote of thanks. It is for the first time Shri Bhagawat Pariwar of Mumbai visiting Odisha.